Fresh from the waters of the world, we bring to market dozens of seafood species in a tremendous variety of forms and flavorful preparations. Your next taste adventure awaits. 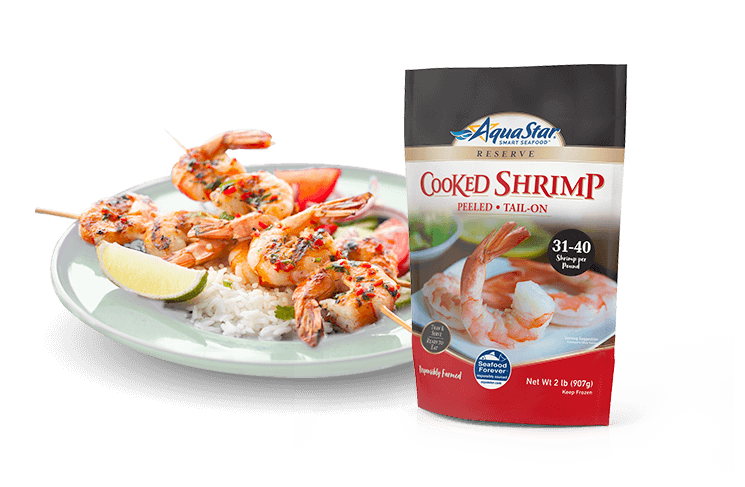 Aqua Star shrimp are bursting with sweet, fresh flavor and succulent texture. Raw, cooked, shell-on and shell-off variations make for incredible recipe versatility. In a hurry? Look for our flavorful prepared dishes, from Crispy Coconut Shrimp to Garlic Herb Shrimp Scampi, in the freezer section of your local grocery retailer. Seeking salmon? Hungry for halibut? Crazy for cod? We offer more than ten varieties of fish, available as marinated, seared, breaded, battered or raw fillets. 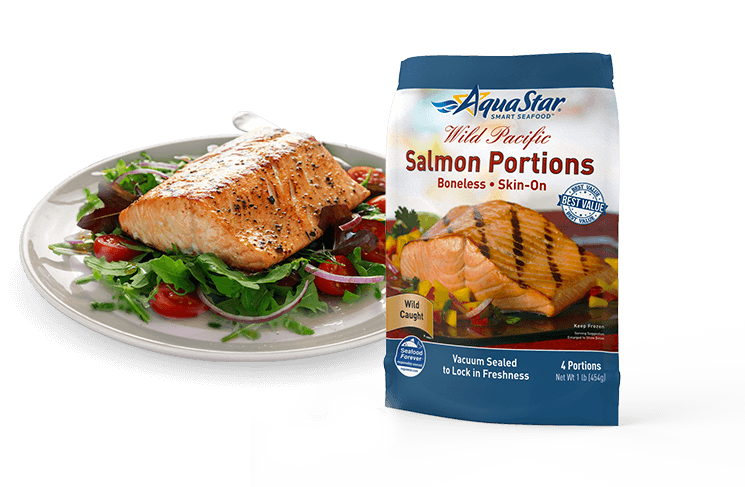 Aqua Star offers a premium line of frozen fish filleted to exact specifications and rich in natural flavor and texture. Our products are a great way to enjoy the health benefits of fish and are simple to prepare. Rich in flavor, low in fat and packed with protein, essential nutrients and Omega-3 fatty acids, crab turns any ordinary meal into a sophisticated and surprisingly healthy dining experience. 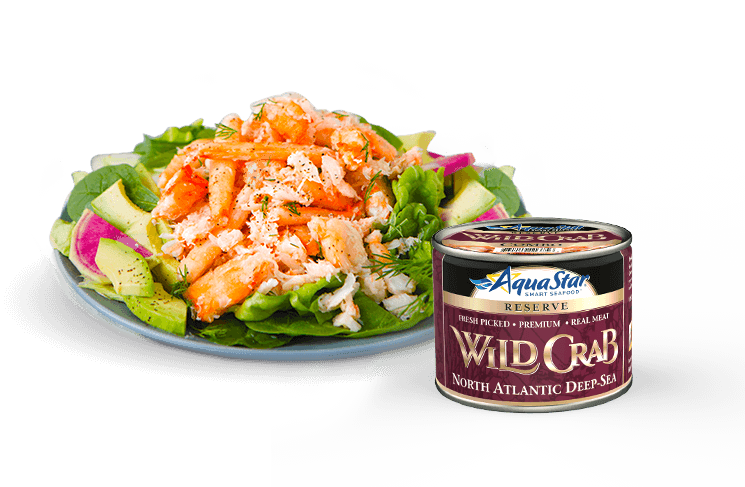 Aqua Star King, Snow and Dungeness crab come in a delicious variety and are available at grocers across the USA. Set sail for new mealtime horizons with some of the ocean’s most exquisite offerings – lobster, scallops, and more. 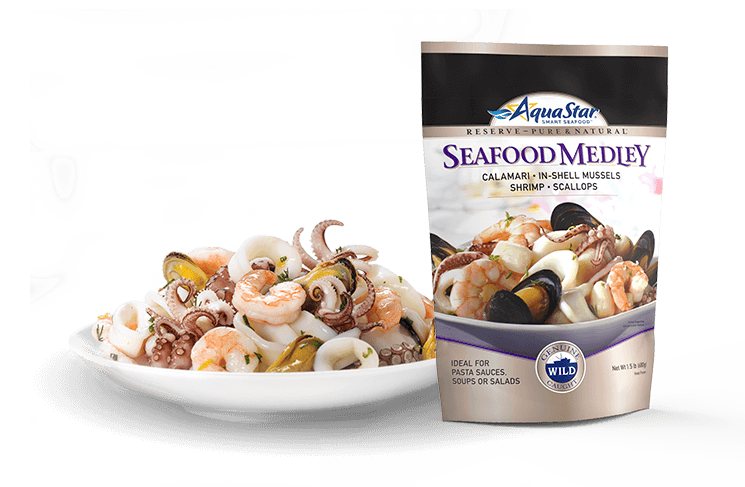 Popular picks include our mixed Seafood Medleys, which are perfect for pastas, as well as our Calamari and Cold Water Lobster.